Singapore-based technology company ButlerTech Group has released a brand new application that may replace hotel concierge services and improve your hotel experience in a new way. Called ButlerPad, the application is dedicated to helping guests make full use of hotel services, from making reservations in hotel restaurants to ordering room service. 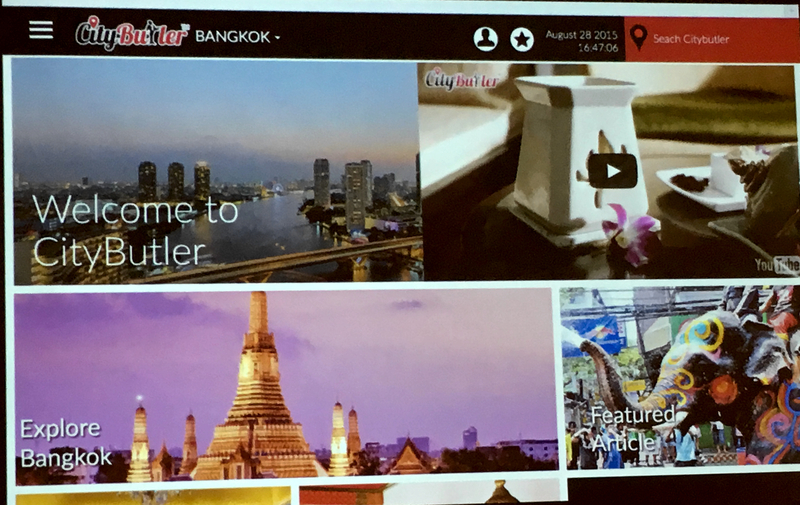 It also includes a city guide to help tourists explore the city they’re in, and enables big data analytics to ensure that hotel promotions and engagement remain relevant to guests’ needs. The moment you access a hotel’s WiFi, a HTML5 version of the app will appear on your device, allowing you to get service for food, laundry, and even arrange for transport or buy SIM cards straight from your smartphone or tablet. Aside from offering guests access to these services, the platform also collects information about the services that guests are requesting, helping hotels understand each guest’s specific preferences and thus serve them better. Mazza shared that the feedback channel on the app is also a powerful medium through which hotels can understand guests’ needs. One such incident had a guest complaining about the speed of the pool-side service. In response, ButlerPad helped the hotel build a pool-side service function in the app. The cherry on the cake is probably the city guide, CityButler: it’s a guide to local restaurants, activities, or popular sights, all accessible on the same platform. According to ButlerTech, 95% of hotel guests use their mobile devices to look up local information, especially on OTAs like TripAdvisor and Lonely Planet. CityButler, on the other hand, will be placing themselves directly before hotel guests the moment they connect to WiFi, allowing them to search for local info immediately. According to Mazza, merchants on the CityButler platform are all curated by the ButlerTech team. 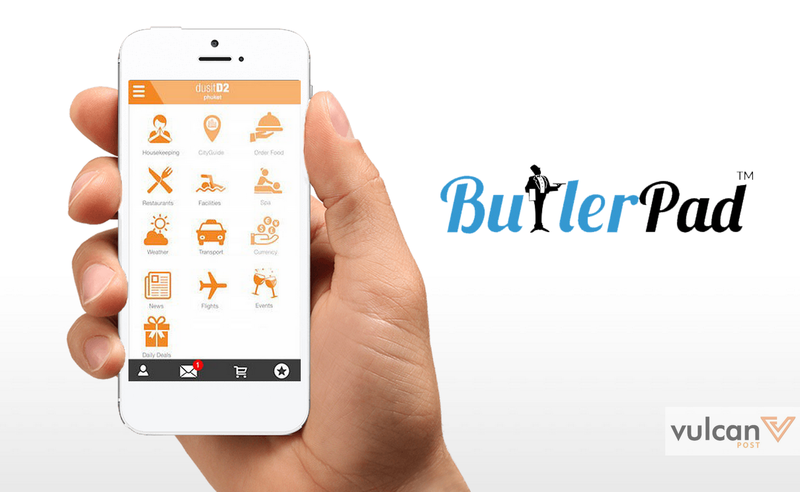 CityButler will be available as a standalone app on Android, iOS and Windows later this year. With $1.2 million in seed funding, the app monetises itself through its CityButler recommendations, taking a cut from in-app restaurants and tour bookings. They’re currently working with hotel groups like Far East Hospitality, Amara Hotels & Resorts, Park Hotel Group, and Thailand’s Dusit Thani Group, and have approximately 300 hotels and 350-450 merchants on board. While currently available only in select hotels in Singapore and Thailand, they are expecting to expand to Hong Kong by December 2015. 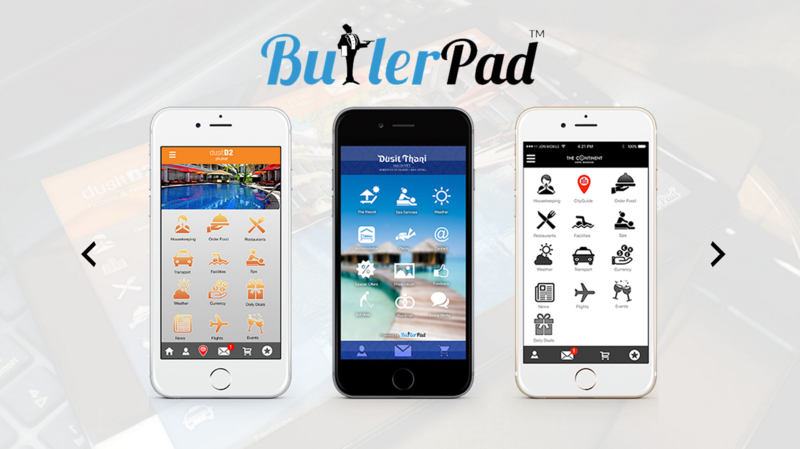 While the technology seems simple, one key thing that makes ButlerPad stand out is how easily it is for both guests and hotels to adopt this new application. Through a demonstration of the back-end of this service, it’s clear that ButlerPad was made to be easily customised by hotels themselves. With everyone turning to their devices for solutions these days, the choice to make the app accessible on the smartphone of any guest gives hotels an easy, non-intrusive way to understand what they can and should provide without having to provide thick in-room guides. In an industry that’s only just catching up after a decade-long stagnation in tech adoption, ButlerPad is trying to bridge the gap between traditional hotels and guests, without the need for them to grapple with high-tech software that’s far beyond them. The biggest question at this point is probably the reliability of CityButler as a recommendation engine. The benefits of its in-hotel services are great, but as they juggle both the software and an OTA of sorts, it’s not hard to imagine that guests may face quite a few sponsored recommendations — as they do with hotel concierges. Keeping that trust will be crucial, or the TripAdvisors and Lonely Planets of the world will retain their hold over what seems to be ButlerTech’s moneymaker. With the number of hotels on ButlerPad “growing every day”, it may soon be the norm to have a similar app for each hotel. That’s the plan, it seems, with ButlerTech hoping to expand to 25 cities worldwide by next year. So the next time you log on to your hotel WiFi, check if they have ButlerPad, and treat yourself to some room service.